Sugar addiction is a hot topic right now. People are raving about the health benefits of quitting sugar and citing corruption in the industry. But there is another side to sugar addiction. A quiet and personal side; it is usually left private, I’m referring to your heart on the matter. It feels uncomfortable and even shameful to admit that something has a hold on you. Because that is what it is, a stronghold over you. It’s inspiring (and inspired) how the mind, body and soul all intertwine to become one unique person. They all work together and overlap one another. 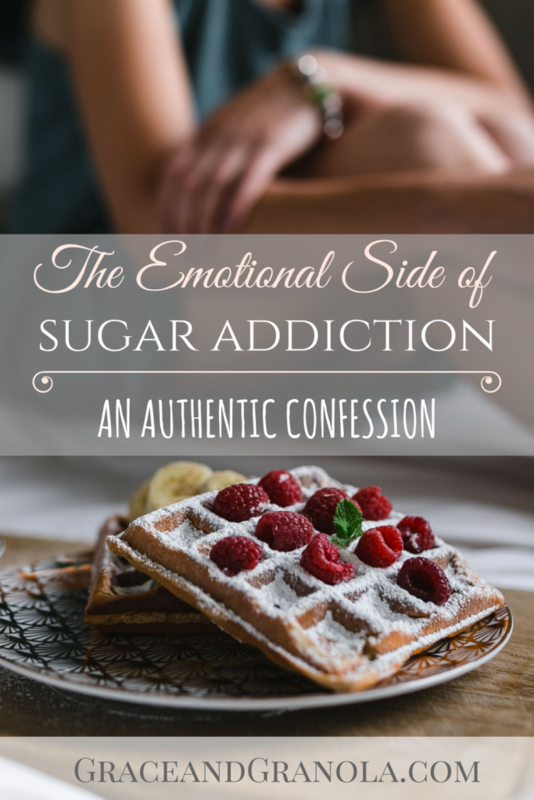 My sugar addiction was very physical, but the harder battle was the emotional; that of the heart. Allow me a few moments of your time to share my heart; who knows, maybe you’ll recognize some parts? 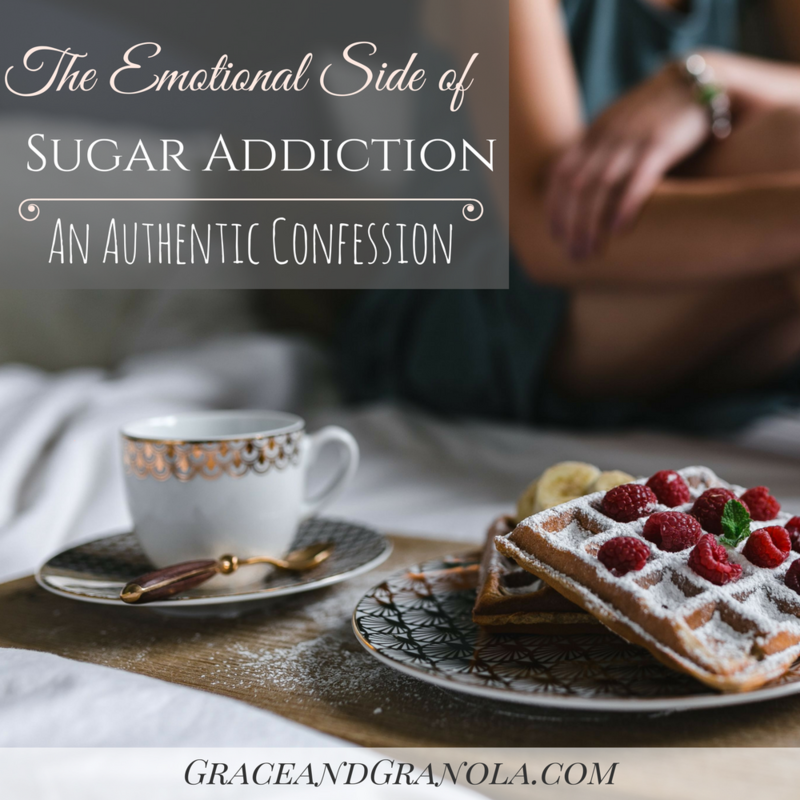 I have struggled with emotional eating (particularly sugar) for a long time. Using a “treat” to try to regulate my emotions. The tricky thing is that it applies on both sides of the emotional spectrum. Stressed? I’ll have a treat, I need it. Achieved something? I’ll have a treat as affirmation. Lonely? I’ll read a book watch Hulu and have a treat. Because it’s just food…right? At this point I would like to clarify that I’m not sentencing everyone to a sugarless existence; I don’t exist that way. I think that every person has to examine their own heart on the subject; everyone is different. These are some results-in-progress of my own examinations. Even if you don’t come to the same conclusion, if you struggle with emotional eating, I’d like to challenge you to take the time to identify your motivations, a cycle, and the root problem. The first thing I had to address was why was I having so much sugar? There is absolutely a physiological answer (e.g dopamine), but there can be more than that, for me there was. What were some emotions motivation me to have sugar? Stress – I didn’t even have to think about getting a treat when I was stressed; it just ended up in my hand before my brain caught up to what was happening. Entitlement – An “I deserve this” attitude about something well done. The more I thought about this, the more I saw my need for validation. A job well done just wasn’t a job well done without a treat to celebrate (or validate). Loneliness – This gets personal and a little scary to put out there, but I believe there is healing in transparency. I’m an emotions stuffer; if I was sad or lonely, I wanted to escape as quickly as possible. My band-aid? Usually a show or book and a treat. Pride – I have a fairly rebellious nature that can flair its head every now and then. I could see avoiding sugar purely as something insecure women did to be skinny (there’s so much wrong with that perspective). So in defiance to that stereotype, I would eat a treat, proving to myself that I’m secure enough not to care. When shame comes into the picture I believe you’re dealing with something more spiritual. I suppose that to a point you can condition yourself to not feel shame, but I’d argue that only goes so deep. As a Christ-follower, I believe that Jesus came to free us from sin and it’s shame. That doesn’t mean that now we are free to sin and not feel shame, but that we are free to live a holy life and know our sins are forgiven. Eating sugar is NOT a sin, but there was sin involved in my sugar addiction.an be sin in sugar addiction. Turning to something besides Christ to give me peace, validation and comfort was my idolatry. I had to recognize where my heart was on the subject of sugar, and idolatry was the sobering answer. When I say it was a sin for me, I’m not heaping shame on myself (quite the opposite). I’m naming it so that I can deal with it accordingly. 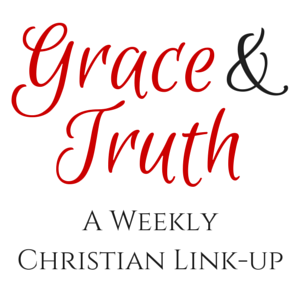 When we acknowledge our sin and offer it in prayer, we can give it to God and let it go. As long as we are on this earth and have given our lives to Christ, our hearts will war against the flesh. If you look deeply enough, that’s often the name of the struggle you feel in your heart. I’m not suggesting a 5-step pull yourself up by your bootstraps program to solve sugar addiction. I have used helpful fools of that sort that I highly recommend, but that’s for another time. I’m suggesting an honest and something painful evaluation of your own heart; no one can do that except you. I don’t assume to know your heart; I can only tell you about mine. When it comes to the topic of sugar; I’m still in a battle. I don’t NEVER eat sugar; that’s not the point. It is to know my heart and not abuse sugar as a cheap band-aid. Even as I write this, I can feel the battle rage on. But I see hope and growth as Christ draws me near to Him. I love cake and I expect I always will, but I need Christ for my comfort and security. I can eat a treat now, for no other reason then a special occasion, because I’m learning to find my all in Christ. If you struggle with sugar addiction or just want to talk, please e-mail me. I have no program to sign you up for, but I’d love to pray for you and start a conversation. 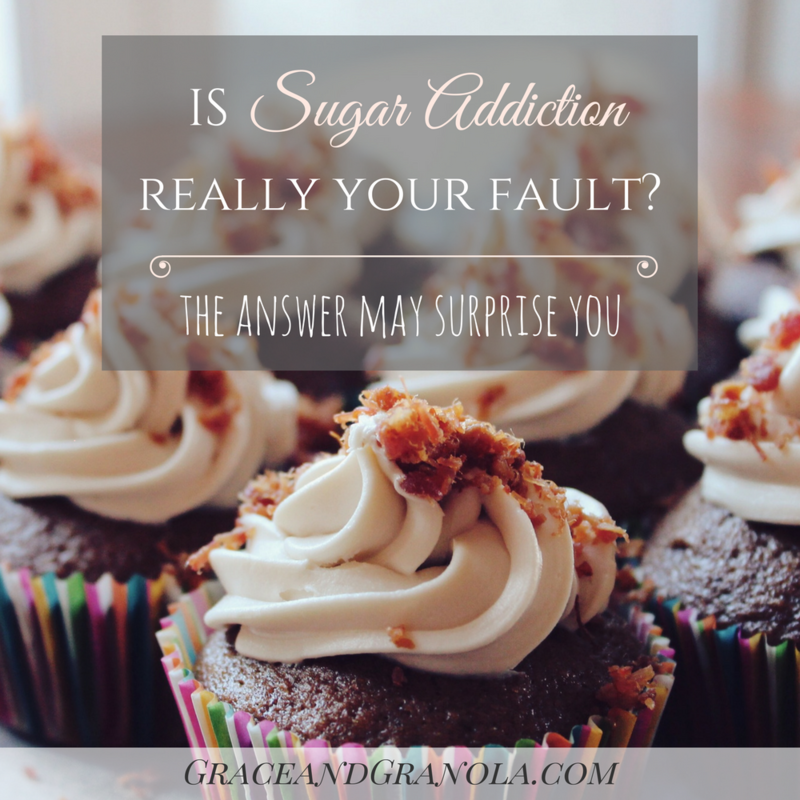 « Is a Sugar Addiction Really Your Fault? Ugh the struggle is real for me too! I suffer from severe anxiety and often turn towards sugar to “calm” myself. As a Christian my anxiety is hard to discuss because I know there is something inside my brain that doesn’t click correctly. I do not think that Satan is the source of my anxiety and that I can pray it away. HOWEVER, I do know that praying and talking to God do calm my anxiety, yet I often reach for sugar instead and that reliance on something other then God is my personal sin. I’m really trying to break my relationship with sugar, and I think it’s been working! I still crave sweets and indulge sometimes, but I’ve lost the craving for certain treats I used to love. It’s taking a long time, but I’m proud of my progress! That’s great Susannah! Very inspiring! Hi Lauren. I wrote over a week ago sharing my journey with sugar addiction. I still haven’t heard anything back from you, even an acknowledgement of my email. If you are getting my emails, then can I have a reply? Of course I do realise you’re busy.